Once you have your eyeliner and lipstick on, the last thing to do is your hair. If you’re going for a sleek look, you may think about flat ironing your luscious locks. However, applying extreme heat directly to your hair can do more harm than good. Even if you regularly use strengthening shampoo and conditioner, your hair can be in for lasting damage. That being said, it can be disappointing to avoid rocking this look altogether! If you still want to go straight but you don’t want to sacrifice the health of your hair, The Huffington Post recommends using a protectant beforehand. There are numerous heat protectant sprays on the market these days that can lock in moisture before you apply heat to your locks. Next, Daily Makeover encourages you to avoid flat ironing your hair until it’s completely dry. Applying an iron to damp or wet hair can increase the damage by causing temperatures to soar – this is a big no-no! 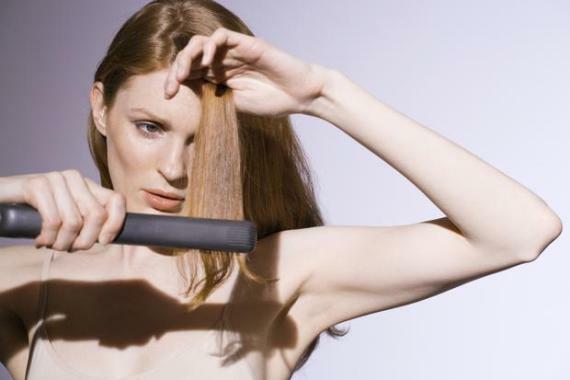 Finally, try to limit the amount of times you flat iron your hair throughout the week. Give your hair a break once in a while – it deserves it! Next Post Do You Know How To Create A Flawless Faux Tan?